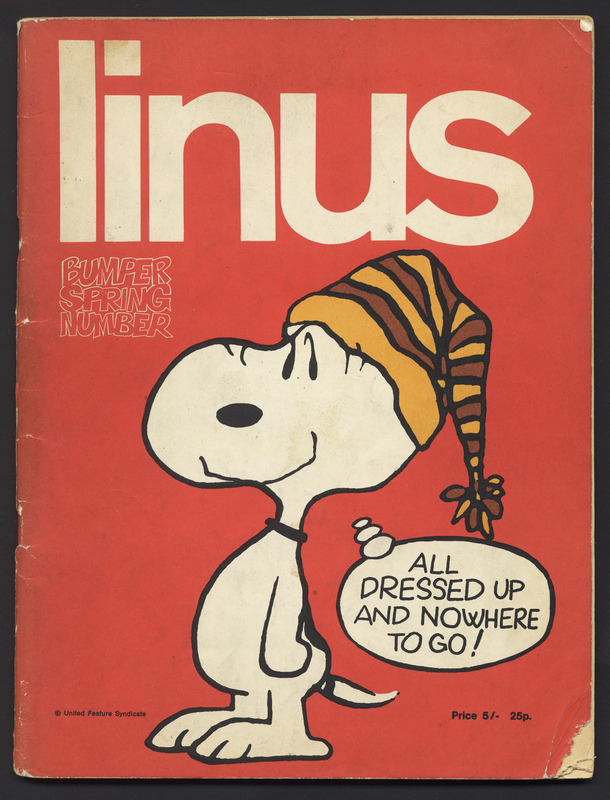 Linus Magazine. Bought in Moroni’s, home of magazines, on Old Compton Street, Soho, in May 1970, when I was still buying boy’s comics full of war and derring-do. 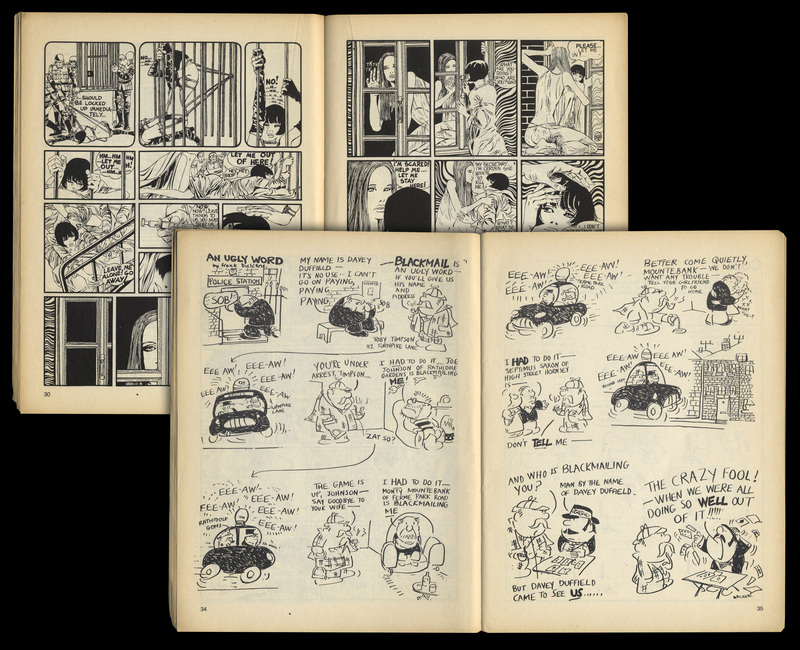 I loved Peanuts – who didn’t? It had Snoopy on the cover, so it was an obvious purchase. But inside, a world unknown. Put together by Ralph Steadman and Frank Dickens, it ranged across the globe to find extraordinary things, all done in the name of comics. It was racy, it was smart, it was funny. It placed Dickens’ none-more-British detective strip bang up against Guido Crepax’s Nazis and nubiles from Milan. It had Fellini’s sketches! 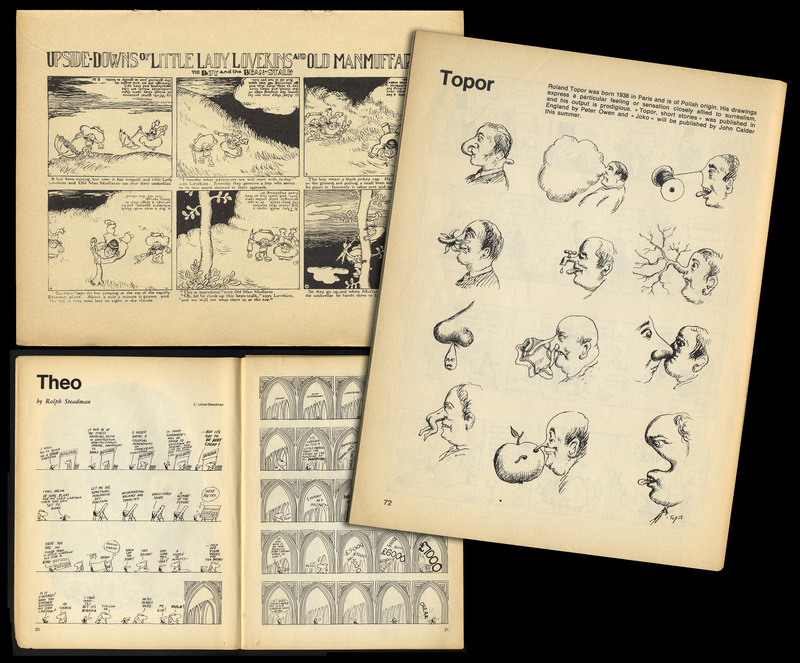 It had The Upside-Down World of Gustave Verbeek, where you read the strip then turned it over for the conclusion of the story, and the drawings miraculously made sense that way too… Coming across Roland Topor probably affected my entire career in magazines. As soon as I saw Brad Holland and Peter Till’s work, I recognised the visual brilliance that I’d so admired in Topor. This was extraordinary stuff, and I never found another issue, but, like the Velvet Underground, its work was done.